When I think of studying at NU and writing my thesis there arise different emotions and thoughts which reflect what I have been living with during the last year and a half. First of all, undoubtedly, I do not regret entering the Master program at NU. I admit that participation in the program empowered my ICT skills, reading and writing skills, enriched my knowledge, broadened my understanding of educational and research issues. I will employ various words to describe my experience and the first one that comes to my mind is ‘adventurous’. Sleepless nights, piles of reading materials from our instructors, weekly writing assignments… You will not believe me, but it is during this study that I began to appreciate every minute of my life, especially when the deadline for submitting your assignment gets closer and closer. Today I realise that I begin to enjoy the state of constant surfing between my private life, my job duties, and my study at NU! Still, no matter what obligatory or elective courses and assignments we have I keep thinking about my main thesis. Frankly speaking, I had made up my mind to study the situation with teaching and learning English in Kazakhstan before I applied for the Master program at NU. I should admit, I have not lost interest in the topic so far and instead, feel an urgent need in keeping working at it. Probably, this strong feeling softens all the hardships I have encountered during the study. The word ‘skill-building’ specifically applies to the English for Thesis course we have had during the last semester. The course has undoubtedly fostered development of such important skills as using internet when looking for credible sources, using university moodle platform for communication within the course, blogging skills, has built to my academic English writing skills. Another word which characterises my study is ‘responsibility’. The word has got a strong meaning when it comes to dealing with plagiarism since the issues of proper citing, quoting, paraphrasing have not been familiar to me before. In this term the instructions and constructive feedback from my professor have been more than valuable. The only thing that I would suggest is to include in-campus practice-oriented sessions of the course, this would lessen the stress most of the students face with learning online. Nevertheless, in terms of my main thesis there are a plenty of areas that still need improvement . Thus, my literature review chapter lacks strong argumentation, the research instruments need precision and cohesion in design. I feel that I need support in data analysis and further description of findings. In order to overcome the challenges I am reading books about qualitative research. Still, the main problem is lack of time to sit and concentrate on reading, analysing various sources. I mostly do it at night. This issue brings some kind of disappointment and dissatisfaction. In conclusion, my dear reader, I hope my post did not distract you from applying for the Master program. If you are ready to experience the mentioned above then do not hesitate to join us. If not, then, the full-time in-campus study may be more convenient for you. My mini-thesis qualitative study is aimed to explore the perceptions of secondary school teachers of the effectiveness of online learning they are involved in. In order to receive a broader range of teachers’ experiences and better understand the challenges they face in online learning I decided to use a one-on-one interview as a research instrument. To start with, I designed a semi-structured interview with ten open-ended questions. When constructing interview questions there were two things I kept in mind: first, my questions should help me answer the research question and, secondly, there should be a logical progression in the sequence of questions. To make sure the wording and order of the questions were not confusing I probed the interview questions on one of my NU group mates. Based on piloting, clarifications were made to some questions by changing the words. Besides, I had to add and amend the order of the first questions to avoid a fast jumping to the main issues. The next stage, selecting participants for the interviews, to some extent turned out not a very easy task. To be honest, my school colleagues were not so enthusiastic about the idea of sharing ideas with me at first. The reason for their being hesitant lies in my status of an administrator. Probably, there was a fear of being prosecuted by school administration later for having voiced some awkward issues. I guess my master peers might face the same challenge in future when conducting data collection for their thesis studies at their schools and there will arise the issue of building trust between the interviewer and participants. In my case, I had ‘to change my hat’ and explain that I was doing a research as a master student, and the interviews would be absolutely anonymous and confidential. Moreover, the participants were assured that the collected data would be deleted after the study was completed and no measures would be applied to them as participants for unpleasant answers. Eventually, two teachers agreed to take part in the study. For confidentiality I spoke with each of them separately. The participants were informed that the interview would last forty minutes maximum and they would have to answer ten open-ended questions and some additional questions for clarification if needed. Besides, it was agreed that the answers would be recorded on my i-phone. According to the advice of my thesis supervisor, I had made appointments with each of my interviewees on two different days. That strategy was convenient as from my last year experience of interviewing NU bachelor students I know that recording may be a tiring procedure, sometimes you have to keep notes. Besides, it is better to sit to transcribe the interview data immediately on the same day when you can recollect well the atmosphere, the gestures of the speaker during the conversation. On the agreed time after lessons we met with participants in a quiet room of the school for the interviews. 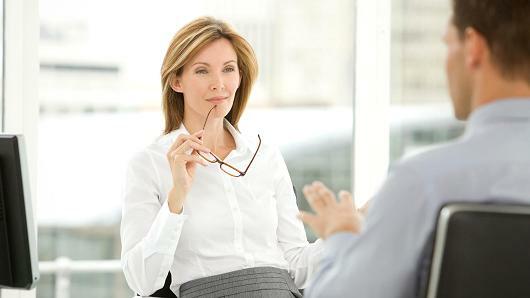 I should admit that I could evaluate the real quality of the questions only when conducting the interviews. I could see that the language of the questions translated into Russian should have been more simplified, i.e. closer to spoken Russian, so that the respondents would feel more relaxed to communicate their perceptions. That was the issue I had not considered when piloting the questions. It was not easy for me to keep a moderate mood during the conversation, not to react to the emotional expressions of the speakers. Quite a new experience was the note taking process. Frankly speaking, during the first interview, I gave up writing the notes as I began to get distracted from keeping the conversation. I should admit that the eye contact, nodding to the participant’s words turned out to be very important. The second interview went calmer, I could control the pace of the conversation, even managed to put down very brief notes. As a whole, I appreciate the experience received while interviewing my colleagues. Undoubtedly, it will build to my skills and positively affect my further interviews within my main thesis study, which I am going to conduct with teachers from other schools. Big City Small World is one of the British Council LearnEnglish online products aimed to support English language learners worldwide. The product is available at http://www.learnenglish.britishcouncil.org website. When teaching English several years ago I developed my students’ listening skills by using the Big City Small World podcasts via computer. Nowadays, when classrooms are supplied with personal laptops and the majority of students have got IOS or Android mobile phones listening to and watching the podcasts is becoming more than easy. The video included in the post demonstrates how to use the product on your mobile phones. What makes the resource so attractive for users? First of all, downloading of the podcast application on different devices is absolutely free. Next, the British Council websites if compared with other sites can be considered safe and reliable to be used in the classroom. You will never encounter unexpected advertisements or shocking news when conducting activities of various episodes. This feature enabled me to organise individual work of students in the classroom without fear of their getting distracted by some inappropriate information. What is important for me, when organised well, students can decide on their own what episodes, what tasks to choose. Thus, provided with earphones students can be more autonomous in the classroom. In case you want to download the learning materials, for instance transcripts and exercises, on your computer or mobile phone you should register on the LearnEnglish site. Another feature is a variety of tasks which a teacher and learner can use before, while, or after listening to podcasts. Finally, the use of the product demonstrates to students, along with improving their language skills, that one’s mobile phone can be used more purposefully in and out of the classroom. Among the obstacles in using the product I would mention that not each school in Kazakhstan has got enough computers or laptops, earphones available in language classrooms which means that students can not effectively practice the resource at the lesson. Besides, a teacher should be very careful when asking students to use IOS or Android mobile phones in the classroom, as there might be students who can not afford buying expensive phones and the teacher’s initiative might cause a psychological and social tension in the classroom. Finally, the most common challenge is lack of computer skills among teachers of English. To sum up, if you got interested in Big City Small World tool, go and try it, otherwise you will not be able to identify if it is worth implementing. You might find useful the other products of British Council LearnEnglish website as well. Just start searching it! In the process of research work, analysis of the resources where the issue of one’s research is introduced comes to be the most crucial part. Access to other researchers’ ideas, understanding, findings, and concerns may significantly help a professional who is on the start of the investigating journey. In searching for literature using appropriate key words is considered of great help. When looking for relevant literature the support I got from the NU library advisor was more than helpful. Besides, at the stage of search for resources availability of literature reviews, books, and scholarly articles in the electronic or printed forms is important. To be more exact, credible sources, primary or secondary, one will be able to find may significantly affect the way one’s research will develop. Moreover, in order not to be dramatically buried under the mass of resources one finds, proper organization of the findings makes sense. During our study we have been given various tips for finding sources, organizing them and writing a concise and coherent literature review. What I found convenient is allocating all the literature I come across or my professors share with us in the folders according to topics, for example, “Leadership”, “Professional identity”, “Reflection”, etc. Thus, the topics are not necessarily connected with my thesis, as I know that I may need the readings later, probably when doing another research. As for my thesis, since I am going to consider challenges of teaching and learning English at primary schools in Kazakhstan, I use different folders for different issues related to the topic. To be more specific, names of the folders contribute to organizing my literature when writing literature review. Thus, on my computer there are folders named “Learners”, “Teachers”, etc. Inside the folders there are files and documents named specifically, for example, “Learner’s background”, “Professional development”, etc. Besides, I use the exclamation mark when naming a very important reading, for instance, “!!! Challenges California Qualit”. The name shows me clearly ‘what, where and how was studied earlier’. Since every source I will use in my writing should be given credit, and that is rather time-consuming I made up my mind to keep a word document with list of all readings I come across in my thesis writing. That has sense, as later, when working with collected data and research findings the readings not addressed at the stage of preliminary literature review writing may add to my understanding of the investigated issue. In terms of writing literature review section I still develop my paraphrasing skills. My thesis instructor has suggested that I should look at the issue of my thesis from one more perspective and at present I am reading through literature I found in order to include it in my paper. The first time I learnt to use APA style of citing was when I attended a professional development course at the Centre of Excellence in Karaganda. Our trainers introduced the issue of citing and referencing properly when writing school internship reports. In spite of the fact, that my understanding of appropriate citing was rather vague, I managed to write my reports without being spotted for plagiarism or improper referencing. The next, more meaningful meeting with APA occurred when I started my study at Nazarbayev University. Surprisingly, I perceived the readings about APA and later the instructions of the professors as a completely new information for me. To start with, I realized that I did not know how to quote correctly. No matter how confident I had been in my English I found out that I had to be more attentive with punctuation. Moreover, I found paraphrasing as the most challenging since, along with a proper use of various structures and vocabulary it was difficult to keep to the idea of the initial text without being subjective. Formatting turned out to be a challenge as I had never known that the structure and size of the paragraph, connecting words, page layout are important and contribute to building appropriate language of citing, formatting, referencing. However, I appreciate the knowledge I have got when learning to make a proper reference list. It should be mentioned, that earlier I had perceived the role of the reference list as something meaningless, needed only formally. The fact that the sources used in the paper should be credible and only those used in the paper may be listed in the reference list was striking. Previously my reference list would have included any literature I had come across when working at my paper and not necessarily used in the text. Since I faced a challenge of introducing the sources used in the reference list, at first, the online APA citation machine was of help. Later I learnt to list the reference by myself. Finally, the most important knowledge I got was that making proper referencing means not only giving credits to authors but it also stands for my being accountable and reliable as a researcher. In conclusion, I know that I need to learn and practice more in order to be accurate, clear, and ethically correct in writing according to APA, and other style. As a piece of advice for my peers, I would recommend, first of all, to learn to be attentive and careful when writing. Besides, there should be a willingness to learn to write appropriately. In this term, the materials, instructions and feedback from all my professors are of great value. Online learning. What we know about it? Rapid development of technologies encouraged the change in delivery of education to the public. Thus, education, alongside with being traditionally classroom – based, since 1980’s has gained one more, distance form. 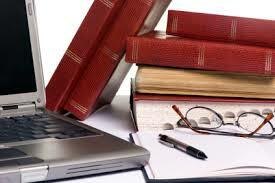 At present with introduction of Internet communication distance education has become available online. Thus, the issue of online learning is the focus of our discussion. Researchers find it important to distinguish between various modes of distance learning (Moore, Dickson-Deane, and Galyen, 2011, p.129). Thus, the authors state that there should be a clear definition of such terms as e-Learning, distance learning, and online learning as the “terms such as online, web-based, and e-Learning are interchanged when describing the learning environment” (Moore et al., 2011, p. 130). Meanwhile, online learning is defined as “access to learning experiences via the use of some technology” (Benson, 2002; Carliner, 2004; Conrad, 2002 as cited in Moore et al., 2011, p. 130). Moreover, the authors distinguish three characteristics of online learning environments: self-paced, self-directed or instructor-led. The most typical one, ‘instructor-led’, is “described as an environment where an instructor guides learners through the required instruction content and controls the instructional sequencing and pacing and all learners participate in the same learning activities at specified times” (Rhode, 2009 as cited in Moore et al., 2011, p. 131). Another learning environment, ‘self-paced’, “enables individuals to study online in their own time and at their own pace, from their own location. It provides the learner more autonomy to proceed at their own pace, while their progress is monitored to assess their achievement (Rhode, 2009; Spector et al., 2008 as cited in Moore et al., 2011, p. 131). The term self-directed is defined by Garrison as “a mode of learning which is learner-controlled; where the learner is more in charge of their own learning and they monitor and manage the cognitive and contextual aspects of their learning” (Garrison, 2003 as cited in Moore et al., 2011, p. 131). The above-mentioned characteristics contribute to the tendency of increasing number of people who prefer to get higher education online. In this term, there arises a need in thorough consideration of advantages and disadvantages of online learning. The major strength of online learning is that it provides access to higher education for disabled and “those restricted by geographical distance” (McNaughton, 2001; Raymond, 2000; Evans and Fan, 2002 as cited in O’Donoghue, Singh, and Green, 2004, p.64). Besides, according to Evans and Fan (2002 as cited in O’Donoghue et al., 2004, p. 65), online learning allows students to “choose their own place of study, … organize their own individual learning schedule, … and set their own individual pace of study without being held up by slower students or vice-versa”. Evans and Fan (2002 as cited in O’Donoghue et al., 2004, p. 67) also state that online learning through “greater use of text, sound and video, helps to enrich the learning process”. Moreover, “online courses often limit interaction activities such as teamwork, which tend to be offered more frequently in the conventional classroom” (O’Donoghue et al., 2004, p.65). Finally, “there is a necessity for students to have frequent access to a computer, a modem, and a telephone line or cable connection” (Uhlig, 2002 as cited in O’Donoghue et al., 2004, p. 66) which is hardly available to every student. Thus, awareness of terminology related to distance education, various learning environments, advantages and disadvantages of online learning might contribute to our understanding about online education, which has become a significant additional tool to the traditional education. The topic of my research is Challenges of teaching and learning English at primary schools in Kazakhstan. Frankly speaking, I took up the decision to investigate this issue last year when we were studying Inquiry Methods Course at the University. I feel passionate about the topic and I believe that I can contribute to the solution of the existing situation. From communication with practicing teachers I know that teachers and students experience challenges in teaching and learning English at primary school. Teachers find it difficult to enable effective language teaching at primary school. According to international research, it is caused by the fact that “teachers have often received limited specific professional development regarding the teaching of students from non-English speaking backgrounds (Da Silva Iddings & Katz, 2007, Franken & McComish, 2003; Haworth, 2005b, Harvey, Richards & Stacey, 2007 as cited in Yukich, 2013). Moreover, students find it challenging to simultenuously acquire a native a foreign language. The issues mentioned need deeper consideration, otherwise it will cause failure of the policy implementation. Besides, it will raise disappointment among primary school teachers and students. In my research I will specifically focus on the first Grade of primary school. My research will aim at answering two main questions: what primary school students in Karaganda region perceive as challenges during the process of learning English, and what teachers perceive as challenges in teaching English at primary schools of Karaganda region? This research is important, as it will provide insight into the experiences of both teachers and students regarding the challenges faced in the process of teaching and learning the English language. The research could help to (a) improve the policy of implementing early language learning in Kazakhstani primary schools regarding the existing system of primary school curriculum design, teacher preparation and training, course books design, (b) provide teachers with specific information on what students believe will help them make the process of learning English enjoyable, and (c) further explore the perceptions students and teachers have regarding language teaching and learning.